Marina was known for her exuberant enthusiasm. She was also known for going barefoot -- even in snow! -- and loving the color orange. She was happiest being outside in all kinds of weather and was particularly fond of the smell of the trees in New Hampshire, where she moved when she was 10. Marina loved running, especially outdoors, on roads and in the woods. She was passionate about everyday pleasures. Hers was a life taken too soon. The second annual Marina's Miles 5k race was held on April 14, 2018 to raise money for a scholarship in Marina's name. 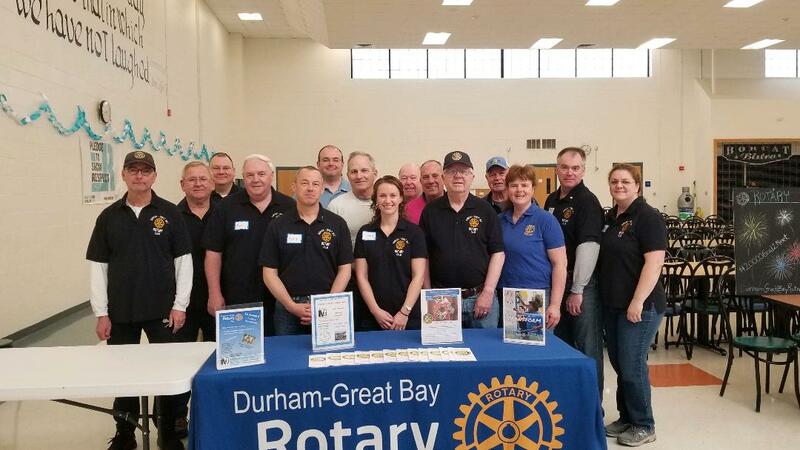 Durham Great Bay Rotary was honored to help by sponsoring and manning the water station mid race for runners (and their pets) to stop and refresh, greeting the finishers at the Finish Line and more! For more information about the race and for registration information when it is available for 2019 you can visit the Marina's Miles web page.